Putin orders government to prevent unjustified freezing of bank accounts | Russian Legal Information Agency (RAPSI). 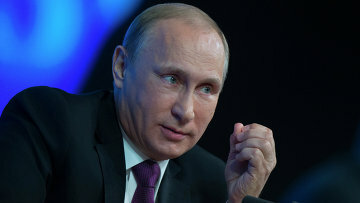 MOSCOW, April 13 (RAPSI) – President Vladimir Putin has tasked the government and the Central Bank of Russia with preparing amendments to legislation that would prevent unjustified freeze of bank accounts belonging to individuals and companies, the official website of the President reads. Also, Putin asked to specify a procedure and reasons for freezing accounts. Russia’s business ombudsman Boris Titov said that the problem of account “black lists” causes damage to law-abiding businesses with small ones being especially vulnerable. The ombudsman said that he expects to receive a reply back from the head of the Central Bank Elvira Nabiullina concerning the suggestions on immediate change to freezing procedure, Titov’s Facebook account page reads. 12:36 13/04/2018 President Vladimir Putin has tasked the government and the Central Bank of Russia with preparing amendments to legislation that would prevent unjustified freeze of bank accounts belonging to individuals and companies.